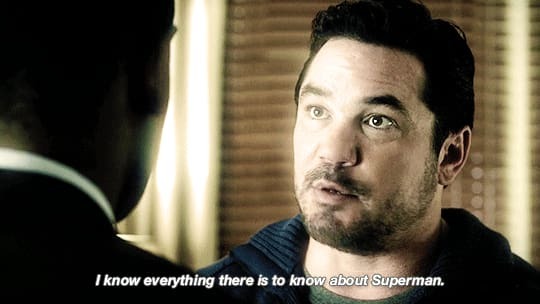 To some, Dean Cain was, and will always remain, the best Superman. Dean Cain was only 27 when he graced our screens as Clark Kent/Superman in the popular TV series, Lois and Clark: The Adventures in Superman. The show ran for four seasons (1993–1997), giving viewers plenty of time to fall in love. His portrayal of Clark Kent as the kind, charming small town boy with a heart of gold was elemental in drawing over 15 million viewers on average each week. To some, Dean Cain was, and will always remain, the best Superman. Though the focus of Lois and Clark: The New Adventures of Superman was clearly Clark Kent and Lois Lane, Superman played a vital role in each episode. The show elevated Dean Cain to stardom, and he has never forgotten that. In fact, on April 28th on Twitter, Dean said that Clark Kent was his favorite character to play. "I love being part of the whole Superman lore. If I get a chance to do anything in the films or shows, I embrace it. It’s not something I feel pigeonholed into since I’ve done so many other films and projects. I’m a fan, as well as someone who has gotten to play these characters. I embrace the heck out of it. I’ll do it as often as I can. I’m really looking forward to doing some fun stuff on 'Supergirl.'" Though he's currently starring on the hit drama, Hit The Floor, to me and legions of fans, Dean Cain will always be Clark Kent/Superman. Happy 51st, Dean! Here's to 51 more! Kevin Feige Reveals That Jason Statham Was Almost Cast In A Marvel Movie — But What Role Would He Play?